Glass breaks at the most inopportune times and we understand that. Our Clear Lake area glass technicians are on call 24/7 to handle any glass emergency. Just give us a call at 832-221-6900. 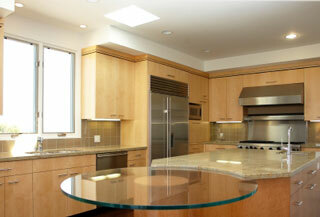 Pro-Formance Glass & Mirror is full service glass and mirror company. Pro-Formance has been proudly serving the Clear Lake City and Nassau Bay area since 1994. Whether you are needing a glass shower enclosure, a commercial glass storefront, or a glass window pane replacement we can serve all of your needs. The goal of our company is to provide you with fast, reliable service and the quality workmanship you expect. Pro-Formance Glass stands behind its products 100% and is completely dedicated to your total satisfaction. From start to finish your in good hands. Our glaziers are on time, polite, knowledgeable, and will clean up after themselves. The glass products that we use in your home and office are the finest in the industry and are made to withstand the test of time. Call today for a free estimate 832-221-6900. We will schedule an appointment for one of our estimators to come to your Clear Lake City home or office at your convenience to give you a written proposal for your glass project. This service is completely free and you are under no obligation. A complete list of references is available, just ask!